Welcome to Traveling To World: The Smooth way to World Discovery > Travel > What If you can Enjoy a Rich Trip in Delhi within a Day? Are you up for a short trip near Delhi? Of course, you can enjoy a trip! If all this time, you have been considering Delhi as a place of hustle and bustle, packed roads, busy streets and all, then you might not have explored the thrill that Delhi and its suburbs have under their belt. You need not to wander here and there aimlessly, just check out amazing and reasonable Delhi one day tour packages and you are on the go. There is a rich variety of spots and destinations if you have the eye to explore it. The expert guides have thrill and excitement packed for you. Have you Ever Been to Mehrauli Archaeological Park? This park is popularly known by the name of JamaliKamali. It is unique in the sense that it is dotted with ruins from initial medieval eras to the 19th century. The main attractions of this place are the stepwell, mosque and tomb of Jamali and a British official’s residence. You know you can taste the plethora of this place in details within one day. It is usually open for tourists throughout all the times and seasons. So, whenever you are in Delhi, just grab a package to visit this place, and you can enjoy the place with the extensive guidance of expert guides. Are you ready to Embrace Spirituality from The Akshardham Temple? The Akshardham Temple is a wonderful architectural creation and one of the chief attractions of Delhi. Tourists from different countries visit this Temple to seek the blessings. This temple possesses history of 10,000 years of culture and heritage of India. Touch of India can be felt in its grandeur, looks, structure and environment. It gorgeously and dazzlingly displays all the spirit of breathtaking antique architecture of India. You can feel the traditions and amazing eternal spiritual forms. The experience of Akshardham temple is unquestionably going to be an enlightening journey through amazing and glorious art of India. You can enhance your spiritual horizons with the blessings of this divine place. 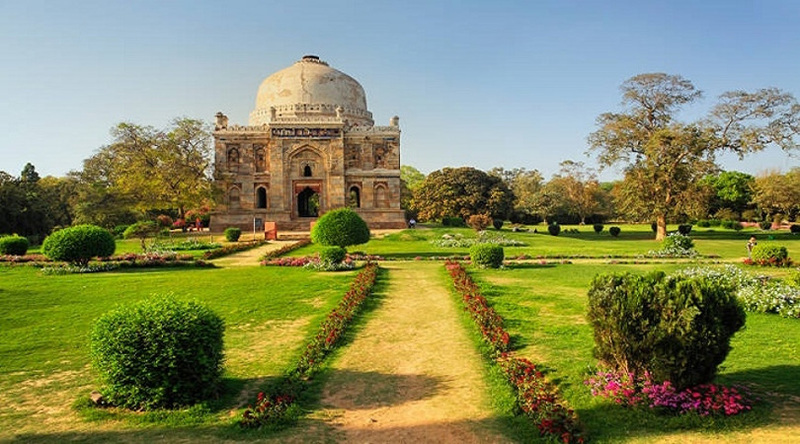 Steal Some Tranquility from Lodhi Garden! You might have witnessed various gardens, but once you have walked through the beauty and calmness of Lodhi Garden, you will forget all your previous experiences. This garden caters a soothing change from the packed city. The garden is bestowed with waterways, bridges, fresh flower beds, medieval monuments and tombs. Of course, you have to believe your ears. This beautiful garden, Lodhi Garden, is situated in the middle of busy New Delhi. It offers peace amid the noisy pace of the capital. This huge green oasis was formed in the fifteenth and sixteenth centuries by the great Sayyid and Lodhi dynasties. So, are you ready to steal some relaxation and pleasure by walking through this beautiful garden? In a nutshell, you can enjoy plenty of 1 day trips near Delhi with exciting and reasonable packages. You only have to peep into the packages so as to pick a trip which suits your taste.